It’s that time of year once again (I hate starting an article with that line) when we all wonder, will we use our boats anymore this year? We wonder, when is it time to winterize? I wonder if it will be a cold winter as last year was? And, worst of all, the most ridiculous one…. I wonder if I hang that 100 watt light bulb in the bilge if it will be OK. I don’t think trusting your engine to a $5.00 light bulb is the best idea, however, I do believe in proper winterization, unless you are fortunate enough to have your boat spend hibernation in a climate controlled area! So, now, the process begins. Proper storage preparation! Treat the fuel. Treat the fuel with a quality additive and then start the engine. Let the engine run long enough for the fuel to enter the fuel management system of the engine (carburetor, fuel injectors or whatever). It’s a pretty simple process, and it will assure you a long service life from your Marine engine. The more ethanol we can treat in there, the better. In our opinion, ethanol actually promotes and attracts moisture, and we have even seen fungi come from tanks that go untreated. Remember, during the winter, especially in our area we go through many heat cycles. Temps in the night may be 20 degrees or less, and five days later it may be 65 degrees. These temperature changes create moisture inside the engine, resulting in minor surface rust and corrosion. During the summer months, your boat was in use from time to time, and the inside of your engine stayed lubricated, thus no problem. Now, that it is time for storage, the engine must be cranked and properly fogged/oiled in a way that even the internal cylinder walls get a good coating of oil. I know there are many that will say this is not necessary, but, to each his own. Today's technology, like fuel injection, and many other nice developments makes it more important than ever to properly prepare your boat for storage. Let alone adverse effects of ethanol. Get the water out! Your engine has enjoyed operating, pulling tubes and wake boards and just cruising around all summer in a big huge radiator. The water that it uses for cooling (except for those with closed cooling systems) is full of contaminants, sand and silt. Unlike its automotive counterpart with Antifreeze that has lubricating properties and anti-corrosive chemicals to protect the cooling passages of the engine. All the water from the engine block must be drained. Sometimes, water drain passages have to be cleaned out from sand and silt, but all the water must be removed. We saw no fewer than 15 frozen/busted engines this year alone. Most marine engines are equipped with engine oil coolers, power steering coolers, fuel coolers and in supercharged applications inner coolers. These must be drained as well, and they apply to closed cooling systems also. In most V-6 and in rare cases V-8s there is a water passage under the intake manifold that must be drained as well. Just get any and ALL raw water out of the engine cooling system and don’t forget the exhaust cooling system as well. Outboards! Most all above applies to you as well, except for draining engine blocks. There are very few with inspection areas, but everything else holds the same. Safety! Now is a good time to spend about 10 minutes or more just looking around. Much of what you are suppose to do during the summer, but we don’t have time to because we dunk the boat in the water, turn the key and take off. Just some tips. How do the belts look? Are there any loose bolts? Look for previous signs of water leaks, check other items like horn, bow and stern lights, fire equipment, etc. Walk around the business end of the boat. Is the steering tight and solid. Is the prop in good condition. Make a list of any thing of concern so that you can address it before spring use, or have it addressed when you have spring service done. I hope you have enjoyed, and possibly gained personal knowledge from this writing. The information above is simply from my own experiences at my place of business, as well as conversation of opinion with others in the industry. I am sure I have left out some process of winterization, but this was not intended to be an instruction manual. I am sure opinions will differ, but that is what makes us individuals. Please have your boat maintained by a reputable shop of your choice. 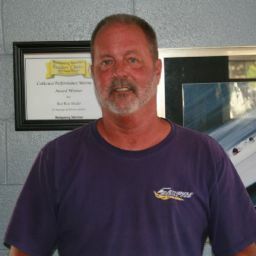 Should I be of service please contact us at www.cathousemarine.com . Good article, CAT. Like you said, no instruction manual, just good ol' plain common sense. I am certainly no mechanic, that is why I pay to sleep good on a cold, cold night. For some reason when I hit the url it just goes to the main page of the forum. Is this a Mac problem? The main page has the article on winterization...to include replies. Rather strange, but it isn't a Mac problem. I had the same problem when I tired and figured it was a result of my having voted for Obama. Now, that you are having the same issue, it must be a result of both of us using a MAC. What r yall taling about.?? You can't see the article? Does it need copy to forum? Can you just copy and paste the entire article here in the Forum? It will not open. Looks like the link is working properly now. Good info, Steve. Bruce fixed it. Thanks Bruce.